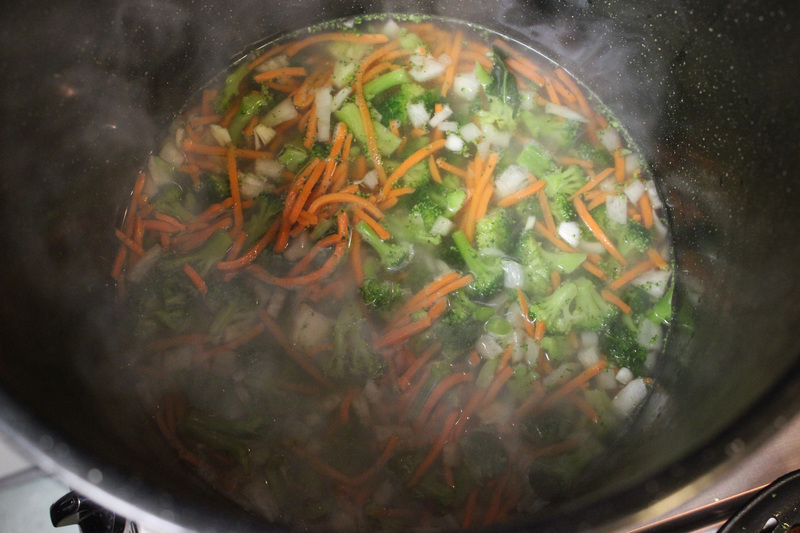 As I fixed this soup, I became very aware I am eliminating many readers from enjoying this week’s post. There seems to be an increase in people going dairy-free for various reasons including its supposedly addictive element casein. Well, strap me down and send me to rehab then, because I AM A DAIRY ADDICT! In that spirit, I pinned one of my favorite soups, trying to change it up from the Asian food posts. 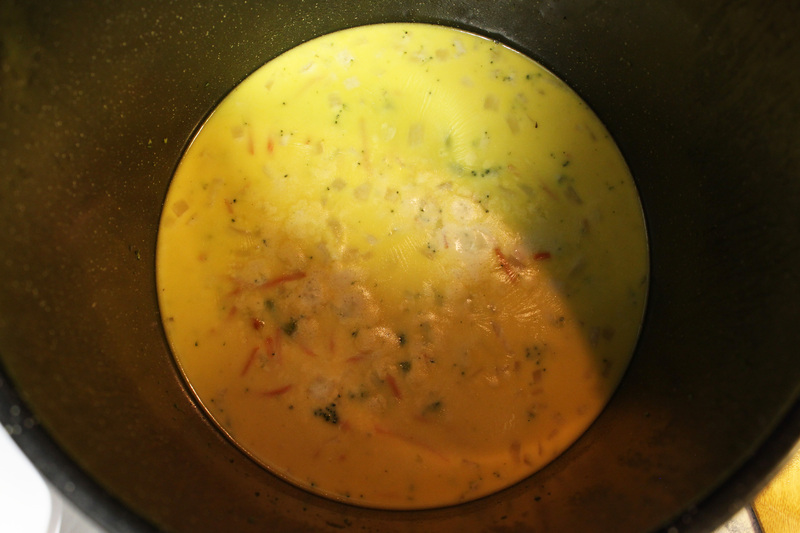 Stir in cheese and milk and cook at lower heat for 15 minutes. Pro 1: Fast, easy, yum. Maybe that’s more like three pros. What are those little orange things you got in there, Pinned Foodie Kat D.? Well, that would be carrots, my friends. 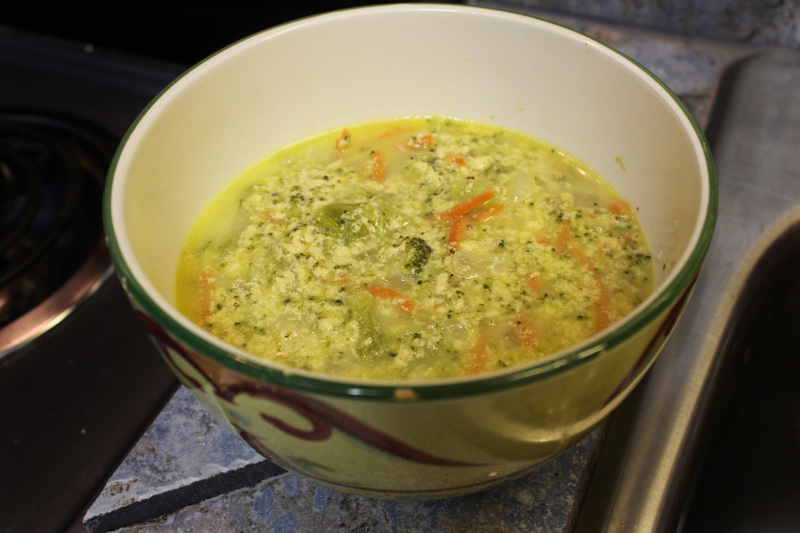 My favorite broccoli cheese soup is not at Panera Bread (SHOCKER!) but at McAlister’s Deli, where their version of the soup has carrots. (Well, Panera has it in their’s, too. So. McAlister’s is still better.) It was a tasty preference I couldn’t do without. RECIPE SUGGESTION 2: BREAK THE BANK AND GO WITH A 6-INGREDIENT SOUP. ADD CARROTS. Since all the veggies cooked at once in the chicken stock, I thought that would be the best time to also introduce the carrots, which actually came out wonderfully crunchy! They added a texture greatly needed in a mostly “no-denture required” recipe. I also decided to go with frozen broccoli and used the whole bag of it. Honestly, I don’t think it changed a thing and made the prep experience faster and cleaner. Those little chunky looking clumps aren’t cheese. Oh, no. My milk curdled! Or something along those lines…Con 1: I wasn’t informed to temper, preheat, stir frequently. Going into this recipe, I thought it was a fairly easy, occasionally stir, dump everything in kind of thing. But my final product taught me this isn’t so. 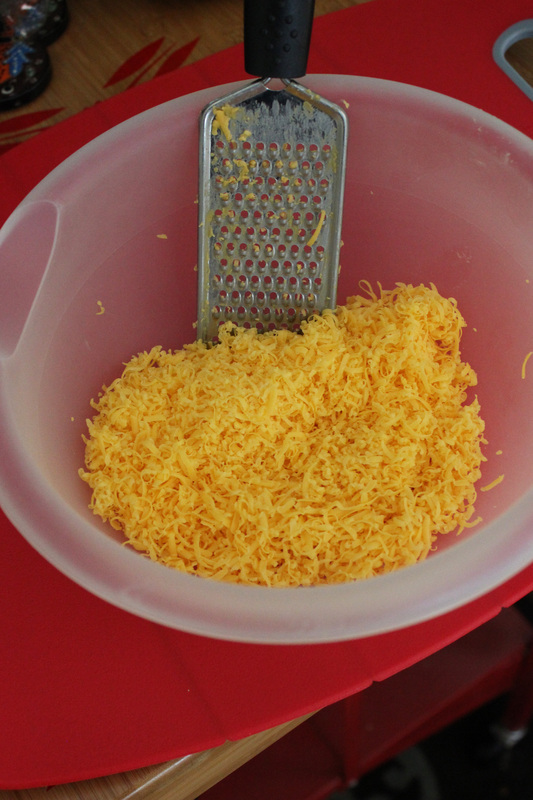 RECIPE SUGGESTION 3: PREHEAT YOUR MILK AND CHEESE IN A SEPARATE POT. 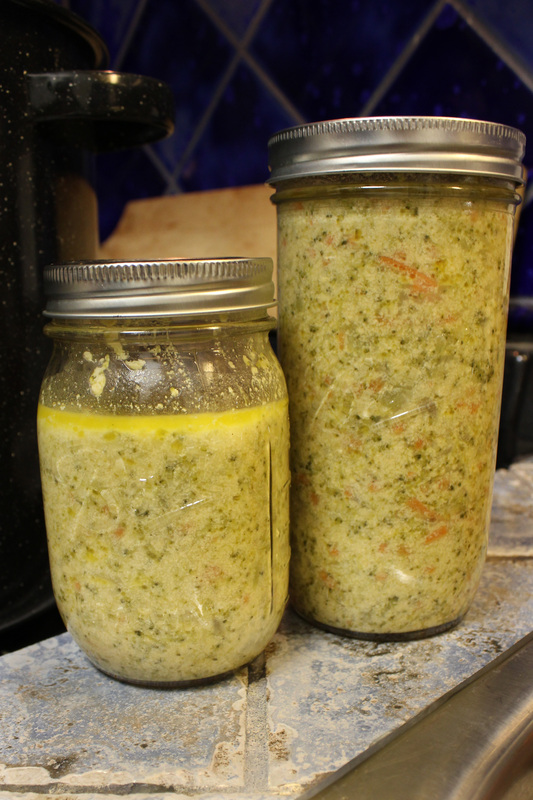 This will allow you to seamlessly add your dairy without worry of curdling or creating these odd and texturally disastrous clumps. And there you have it! Fast, easy, yum. I had a very good amount of leftovers (almost 2 and 1/2 pints). Despite the curdling, I didn’t throw it out and decided to keep it. To soothe my dairy addiction for the day, I partook in one of these pints for lunch just today. The curdling/clumping had subsided slightly, and it was actually better the second go around! I would deem this a great make-ahead recipe. Suggestion 1: Add some carrots for a great texture and little added flavor. Suggestion 2: Preheat your dairy. What didn’t work: My dairy curdled. In a separate small pan, preheat cheese and milk. With our dairy addiction hopefully satiated for a time, did you get enough to eat?